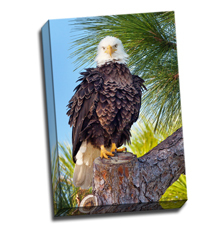 What I love about APC is that they’ll do all the work to prepare your image for printing on canvas, and the results are just amazing. Try them once and you’ll be hooked. 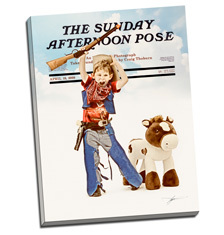 Today I received my first canvas print from APC. It's so big and SO beautiful. I can't describe how I feel. It's like the first roll of film I developed :) Thank you very much APC. Keep up the good work. There are a lot of different companies online that will print your photos on canvas, but none even come close to the high bar set by APC. From customer service to print quality to their super-friendly staff, they're simply unmatched. Each time I unbox a newly arrived order, they make me say "Wow!" Thank you, APC - you guys rock! 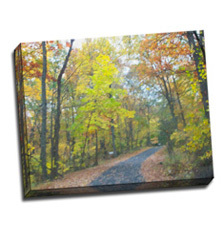 I’d never printed one of my photos on canvas. In fact, I was somewhat leary of it. APC answered my questions promptly and without making me feel like an idiot. Then the canvas arrived. I was floored. It was gorgeous! … Not only do they care about their customers, they do absolutely outstanding work. The canvas is stunning. The colors are perfect. The print quality is absolutely amazing. 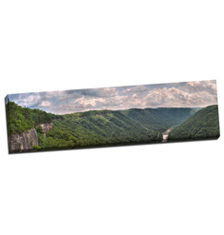 The canvas wrap is top-notch. You can tell there was passion behind the product. 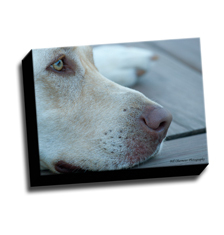 Thank you everyone at Artistic Photo Canvas for caring about what you do. I decided I wanted to print this project large on canvas but at first was skeptical about how all the detail would print on a textured surface. After reviewing my file, APC assured me every single word would print well. … Less than two days after I ordered the canvas it arrived and I have to say I was thrilled with the quality. 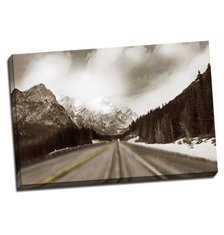 I just got a few new canvas prints from Artistic Photo Canvas and I gotta say, they are AWESOME! 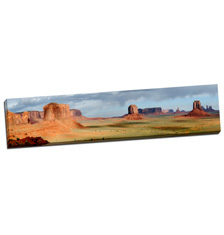 These guys are the real deal when it comes to canvas prints — you name a size and they'll make it happen, and in wonderful quality. Three APC canvases hang in our home, two large prints of the last two years’ family photos and our 25th anniversary picture. 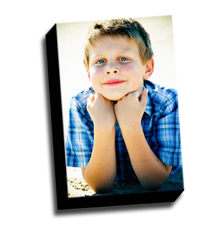 When you order from Artistic Photo Canvas, your canvas is not only of the highest quality, it’s printed and framed by real people: no automation involved. I can’t think of a better way of breathing new life into my images than by adding the sense of touch to the sense of sight. And I cannot think of anyone better than APC with whom I’d entrust this process to. Your customer service and quality of product are rated above a 10 in my humble opinion. 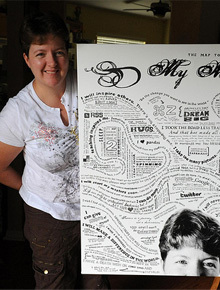 Melanie went out of her way to make sure my canvas was received by me in time for an event. 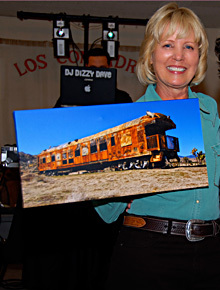 We raffled the canvas art at the Old Timers Reunion for police officers here in Palm Springs. Thanks again for the professional service. Thank you for your work on our project. They look great in the house. It was nice having that level of support from a site that does not discriminate between actual studios and personal orders. As an amateur that also sells his work on the side, I may not have a studio to register to get the 'pro' service that other sites offer but I know that, at least at APC, I will be treated no different. Thank you and keep up the great work!! I now have three canvases form APC in my home office and love the way it has added a level of quality to my portrait offerings. They are always the attention getters of the studio! I was humbled and honored last year when you chose to display one of these images at both Photoshop World, and would be proud to allow that to happen any time in the future. I would be more that eager to be there to personally tout the benefits of APC over the others I have tried. 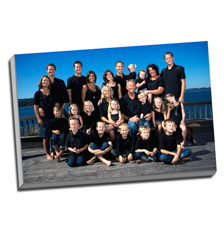 I was first exposed to APC when I won a canvas from them at Photoshop World. 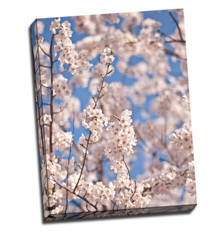 I was so impressed with the quality of the canvas that I have ordered even more canvases. They will be my go-to place for all my canvas purchases in the future. Great products, and great customer service make APC the place to shop!! I recieved the canvas print the other day and wow, was I amazed. I knew the print would look good but it came out a thousand times better. 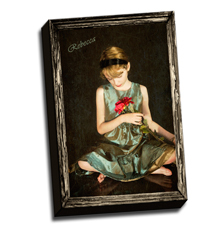 Artistic Photo Canvas did a great job and I’m more than pleased. 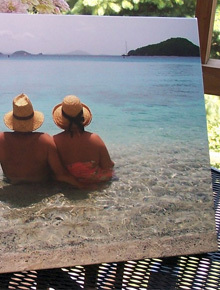 I hung the picture of my husband and myself in the water at St John Virgin Island so it is the first thing I see every morning when I open my eyes! I love it that much! I work pretty hard to make images which convey what I felt while standing in the middle of the scene. Thanks for providing gorgeous prints that absolutely convey the feel of the images, and the passion that goes into my photography. This was my first experience creating a triptych and I must say the folks who helped me were very professional and patient with all of my questions. Thanks to Camille and Melanie. I really like how it turned out. APC did a fantastic job!! I had seen the APC canvases at Photoshop World. Then started hearing good things about them through NAPP members and staff. I decided to give it a try. I loved my first canvas. The second one was given as a wedding gift — and I have been told that it receives many compliments. Since then I order as often as my budget allows or when I can convince a customer to order. 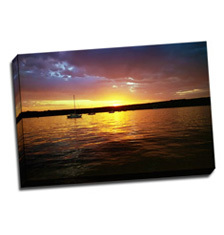 Recently I ordered a canvas of lesser quality from another company — and that has helped in showing my clients that you get what you pay for when it comes to quality. The customer service at APC is outstanding. You speak to real people and they are more than helpful in assisting with decisions to have your canvas turn out well. APC is definitely one of my favorite companies to order from! 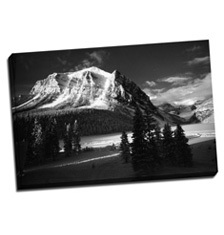 After getting my first canvas from APC I knew that I would be a repeat customer and that I would recommend APC to all my friends and colleagues. 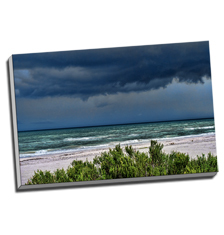 The second canvas only strengthened my resolve to send business your way. The quality of my canvases are beyond even my expectations. The colors look exactly like what I see on my screen and the visual impact of the canvas is everything I had hoped it would be and then some. 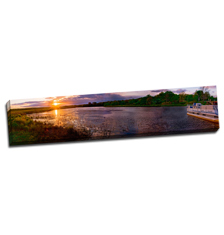 My wife and I have been reserving an entire wall for this one art piece — Eau Gallie Causeway at Night — and what a great decision it was to have APC handle the production side of it. In fact, we even painted the wall a new color specifically to compliment the canvas itself! 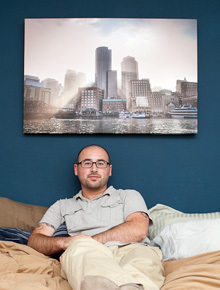 I was doing a photo shoot this morning and the model, Tania, asked about my canvas hanging on the wall. I told her the story behind it. Then I got a crazy idea and she loved it. The result… a photo for you. 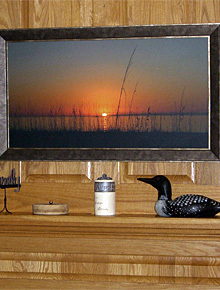 Here is my framed picture of the sunset from Casey Key above the fireplace mantel. We love it. Thanks for your suggestions and work. Many visitors marvel at it and especially the canvas rendition. For that I thank you. I thought I was happy with just paper prints until I received my first canvas from APC. The second I took it out of the box, I was floored. 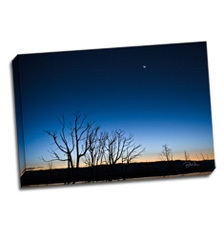 The quality is simply stunning and color reproduction blows paper prints away! 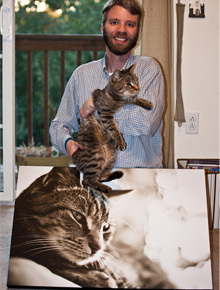 via Facebook: Thanks APC for the fantastic work you did on the 20X30 canvas print of our cat, Dewey. I can't tell you how impressed I am with the quality. I got Lew on the phone the day after Thanksgiving, and he couldn't have been nicer. He resolved all my problems/questions and it was a pleasure to talk to him. 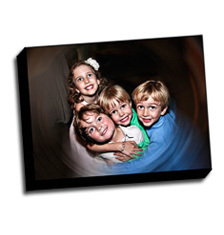 The rest of the process was fast, friendly, and professional and I love my canvases. 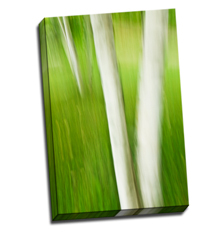 I placed a last-minute order for canvas to go into an exhibit. 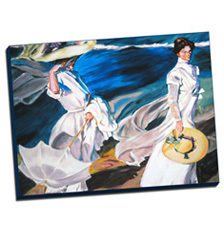 A representative from APC called to inform me that they had expedited my canvas and gave me some shipping options. 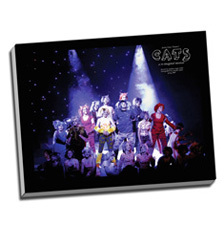 The high-quality canvas arrived in time for the show and it received the lion's share of positive comments. Our APC canvas now hangs in our studio office and continues to receive the most interest out of all the various display forms we offer. 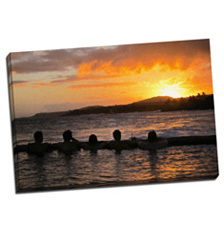 I purchased a large canvas of a sunset with silhouettes of 5 people sitting in a infinity pool. I was giving this to someone at a big birthday celebration of a 150 people. Everyone loved it!!! I wanted the photo to look like a painting with great colors and it look exactly how I wanted it. I also researched a lot of other companies on the web and this is by far has the best quality and best prices. 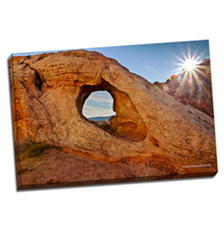 I received a free offer for an 8 X 10 canvas print from one of your competitors and ordered a print from them. When it arrived I thought it looked good. Then I decided to send the same photo to you and another (cheaper) competitor just to find out if there was a difference in quality. I was totally amazed when your print arrived. It was by far better than the other two. There is no doubt you have a new customer for life. The personalized customer service blew me away! The quality is very high and I can't wait to order from you guys again. 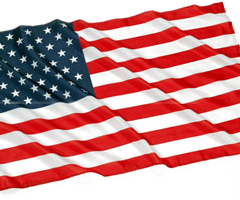 APC has a world class team and an intuitively responsive Customer Support family. I can trust APC's products to represent my business any day of the year. 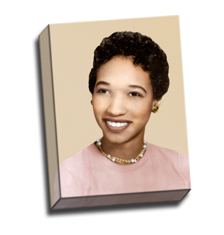 This was the first time that I had let someone else print one of my images, and I was on pins and needles since the client would see the finished work before I did. I finally held it in my hands today, and I was completely satisfied that my artistic intent was faithfully rendered. 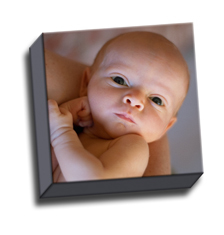 The look on my customer’s face when they see the canvases for the first time, is priceless. Thank you for making my images look awesome. Also, the care that you take in packing the canvases for shipment is outstanding. I am a very satisfied customer. Customer service makes the sale for me and Melanie Turner was terrific to work with. I was kept aware of what was happening with my images and the proofs were helpful in visualizing what the completed wrap would look like. I do nature photography, and I was impressed with the detail, sharpness, and colors when I unwrapped my order. I have grouped the three canvases on the wall and they look fabulous. 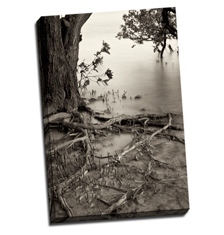 Printing the images on canvas elevates my photography to a new level. I could not be more pleased. I'll send a photo of the grouping. This was the first time we used APC and could not have been happier with the result. The consultant (I forget her name) was very helpful she called me three times just to be sure our canvas would be the best it could be. 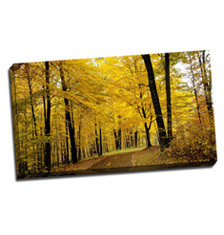 My husband and I have already recommended APC to all our friends and have shown them our beautiful canvas. We will be using APC again in the very near future. Thank You. New to APC but was greatly satisfied with my first order and have re-ordered since. I was looking for a site to use and my 'trial run' was not disappointing. I use a color managed system and monitor and received excellent fidelity in color matching. Printing quality was exceptional and finishing was also very good. I have already recommended your company to a photographer that I work with and to another an international photo web site. 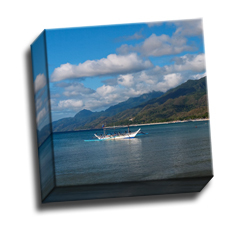 I sent some APC printed images to the owner of a beach resort we stayed at in the Philippines. (known thorough a family friend). They were delighted with the pictures and hung them in their business for all to see. 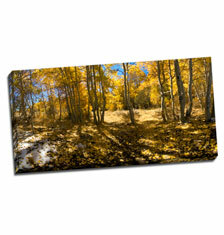 I have decided APC is the only place I need to use when considering canvas printing. The options you offer completely covers anything I could ever ask for and the final product is exceptional in all aspects. Keep up the good work. You hit a grand slam home run on all fronts!!! I dealt with Camille every step of the way. Her advice and patience was critical in developing the final product. 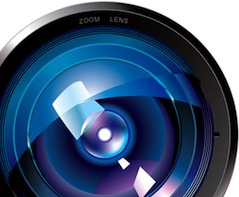 I have already recommended APC to a very accomplished amateur photographer in my office. 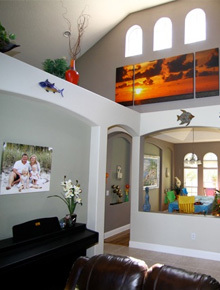 He was stunned by the quality of your canvas and impressed by detailed hands on customer service I received. 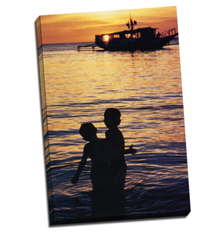 My photo was taken in the Philippines in 1997. We were walking back along the beach to our grass hut. I looked at the boys and knew this was a unique photo opportunity. I ran to get the camera, squatted go get the sun in the boat window, yelled to the boys and took the photo. It is the only exceptional photo I have ever taken. I had thought the original and negative lost for more than 10 years. I started with a magazine print of the photo and only found the original after working with Camille for a week. My wife cried when she saw the photo. I appreciated the advice to change the size so cropping would not compromise composition. The contact made me feel that you were interested in my specific photograph. Clearly different than 'mass production' process. The finished product was even better than I had hoped for. Thank you! 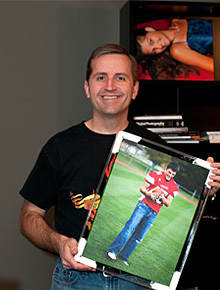 I saw you listed in photoshop user magazine with a plug by Scott Kelby. 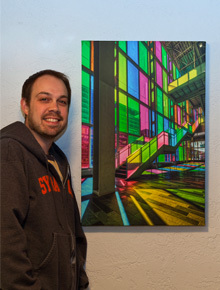 This was the first time I had ever printed on canvas and was beyond thrilled with the results. 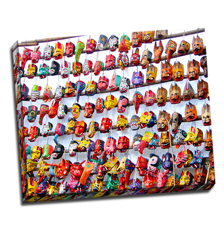 In fact, when I finish this survey, I'm sending you my second project for printing on canvas. Melanie in your customer service department was excellent to work with. She explained to me everything I needed to know and was quick with her responses. I also thought that your product was a great value and reasonably priced given the finished product. I look forward to working with you again and again in the future!! Always first class quality and first class service! 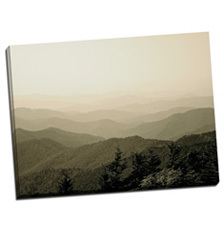 I have had nothing but compliments for the canvas prints on my walls! 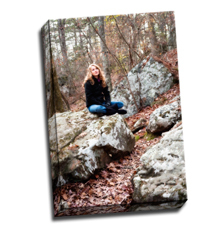 My customer was blown away by how the image turned out on your canvas. My image was the start of a two part process of artistry that you guys completed. Thanks for the quick turn-around and great packaging. 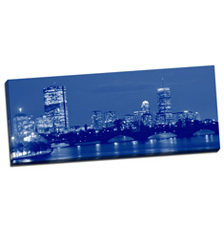 The canvas was for a customer and she ordered a 30x40. I trust APC so much that I opted for drop ship service, as I was traveling. The customer absolutely loved it, which I had no doubt that she would. I think APC offers the best product, hands down. The attention to detail, quality, and concern for the environment are phenomenal. 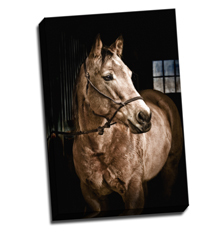 I have been very pleased with all canvases I have received, and look forward to ordering more! Beautiful Work! I love that your process is done by an actual human - so much more reassuring! Thank you so much. 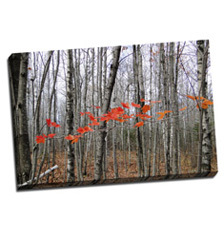 The tryptic canvases I ordered previously are on sale in a gallery right now. Thank you, thank you, thank you. 1. 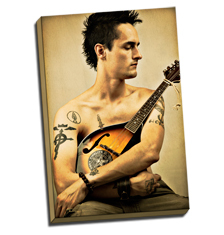 The canvas prints are brilliant! 2. The prices are brilliant! 3. The size options are brilliant! 4. The customer service is brilliant. Poor Melanie has had to fix a couple of problems I've created with shipping. She is such a pro and extremely patient with me. 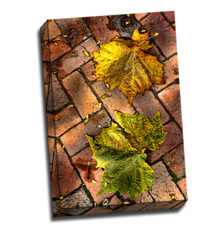 I'm proud to say that my Artistic Photo Canvas prints are in art galleries throughout the U.S. 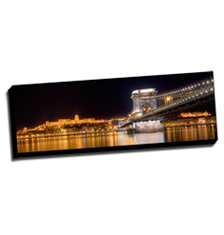 This photo was taken in Budapest of the famous Chain Bridge. The HDR image is a composite of multiple exposures hand-blended to create the final image. 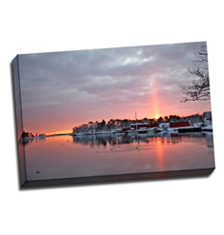 When I saw the canvas I was very impressed - the print quality was excellent and the colors were a perfect match. 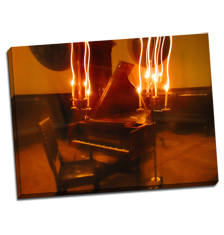 The print is hanging above my piano and is a conversation starter with many who visit us. I first saw the APC booth at the 2009 Photoshop World Expo in Las Vegas. At that time I was very impressed by the quality of the canvasses on display and decided that when the time came to have a gallery wrap done, I would have APC do it. The service was top notch, even to the point of being able to talk directly to the person working on my wrap. 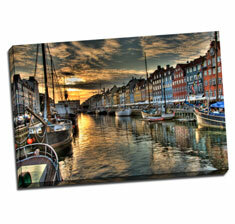 The canvas itself is of excellent quality and looks wonderful on the wall. I will definitely use APC the next time I want a gallery wrap done. 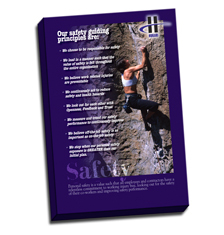 I needed examples of my work 'mounted' to show prospective customers and I was looking for a unique 'mount'. I came across APC's advertisement in a photo magazine and decided to try them out. What a great choice! 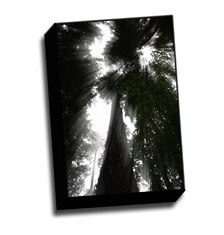 The photo I used was shot in the Hoh Rain Forest of Washington state and looks almost black and white on the computer screen. APC did such a great job of printing to the original colors that the green of the trees comes through. Ordered a canvas as a Christmas present and I was a little nervous of how it would turn out. After receiving the canvas I couldn't of been happier with the turn out. The quality and craftsmanship is fantastic. I will be ordering from here again and have already recommended it to many friends and family. 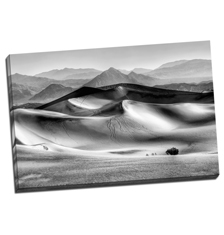 I have had ordered canvas prints from several labs and feel that APC is the best. The finish cannot be matched nationwide. I do my own color correction and not once have I been disappointed with the color of any canvas. The customer service is top notch. Once you get a sense of their concern for your work you will understand what customer service is really about. Most cool is the way they package and ship each canvas. I love the Styrofoam corners. APC makes me look good. We had two canvases printed to give my parents for Christmas. One of each of my daughters. 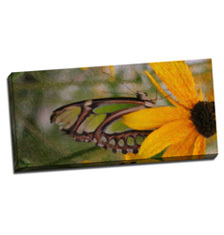 When my oldest daughter saw them, she loved it so much that she didn't want to give it away! Now I have to order two more for our house! I am a professional photographer, and it is very important to me that the finished product is of the highest quality. 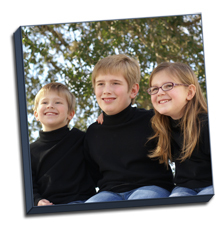 Your canvases are beautiful, and of coarse, my parents were thrilled with their gift! 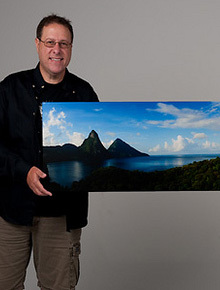 There were many canvas prints displayed at Photoshop World, but APC's prints were by far the best. I was surprised to find APC's prices were competitive with the others. 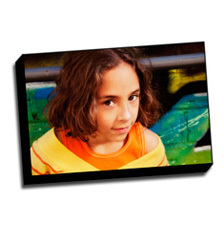 I chose two recent portraits to print as samples to show clients of my fledgling photography business. They look great! I've already sold one canvas to a portrait client who loves it! I cannot tell you how impressed I was with the finished product when I received it. It was amazing!! I am not a professional photographer, but have a new camera and took the picture on our wedding anniversary (31 years!) trip to Bayfield, WI. When I downloaded the pics after the trip I knew I wanted to make a special Christmas gift for my husband and found your website. My husband loved the gift!! Thank you for such an easy way to preserve our memories...I will definitely use your service again!! 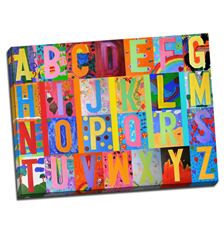 Love, Love, Love my canvas! You did a great job, it's simply gorgeous! 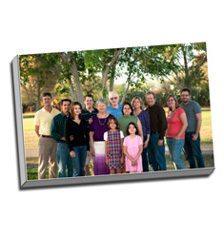 This photo was ordered by a client from my website. It was important that the colours were exactly as show. 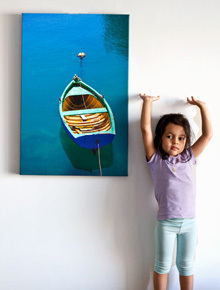 I suggested she get it made into a canvas, then proceeded to worry that a canvas would ever do this photograph justice. Wow, was I surprised. The colours were exact. My client loved it, it was exactly what she wanted, and honestly it turned out better than I imagined. I'm so happy with the results and happy that with my next order will be worry free. Thank you so much. I thought I was happy with just paper prints until I received my canvas from APC. The second I took it out of the box, I was floored. 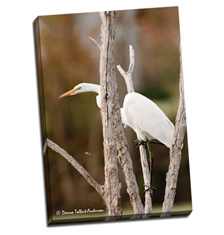 The quality is simply stunning and color reproduction blows paper prints away! 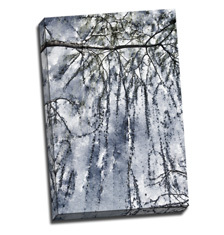 I ordered two canvases for my 1st gallery showing. They will most definitely be the centerpiece of the show! What excellent work APC does! The quality of work and customer service is world class. Thanks for the canvases, I will have trouble departing with them. 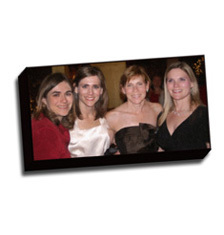 My three sisters and I gathered together to have photograph taken by my husband. It captured a very happy moment of us all together. The canvas turned out so beautiful with the help of your staff. I was just planning on purchasing one canvas, but ended up purchasing four -- one for each of my sisters and for me. I could not wait for them to open their Christmas gifts. They each will cherish this beautiful gift. Thanks again for all your help. I sincerely thank you all! To the APC team members which provided a conduit between my wife and I to connect while I am deployed overseas. Your professionalism and situational awareness allowed a me, a man deeply in love with his wife, to express my devotion to her in through this medium. Her artwork alone deserved the attention, capturing it on even greater craftsmanship. I thank APC for your handwork, dedication to the craft and professionalism in all counts. I look forward to many projects in the future as they come. The young lady who is the subject of the gallery wrap recently received is a friend, a client, and an exquisite violinist. I first met her a few years ago and began to formulate the image in my head the day I first met her. After much experimentation with exacting lighting setups using other models, I felt that I could create an image that perfectly matched my vision. The result of the vision was going to be a canvas from the word 'Go'. Having ordered from APC before, I knew that I could fully expect the highest quality, but that previous experience could not prepare me for the sheer sense of awe when I removed this particular gallery wrap from the box. Everything about it was perfect, the color, the finish, the tight corners, the stiffness of the frame. You have again, played a significant role in the realization of a simple vision from within my mind's eye. This is my first canvas and I LOVE IT!!! I will definitely be selecting other images to be displayed this way. 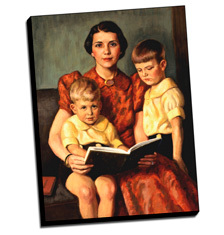 Currently this canvas is hanging in our family room where it can be seen by everyone who comes in the house. Now we have to figure out where to put the next one! Thanks for a great job! When I heard Scott Kelby and Matt Kloskowski promoting your service and product, I knew it had to be of high quality, but I've been through the rigors of trying to get satisfactory prints from what I see on-screen. I've read comments by professional printers about the variability of calibrated monitors. Because of these issues, I was prepared to be disappointed when I opened the canvas you printed for me. (It was an HDR shot of a stained-glass window, taken for my brother who's in a nursing home.) 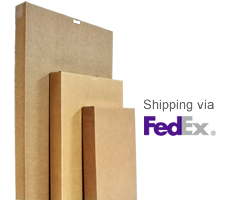 First, I was very impressed by the care with which the canvas was packaged: loosely plastic-wrapped with styrofoam corner-caps to prevent damage, all tucked into an extremely strong corrugated box with a waterproof inner-coat. But it was the canvas itself which still fascinates me. With just the few pointers on the amount of background detail that I gave you, you matched perfectly what I had created. Everything was perfect: color, contrast, gamma. 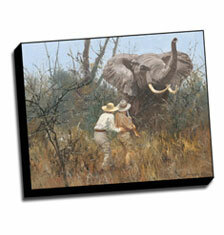 Even the job of stretching the canvas was perfect: completely flat with no wrinkles or buckles. I assure you that I'll be sending you more work, because you've restored my faith in the printer's art. Was really surprised at how good the prints were. 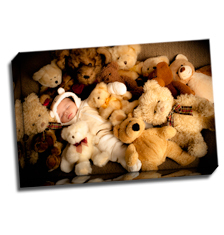 We decided to give you guys a go and used a photo of our newborn baby, Blake. 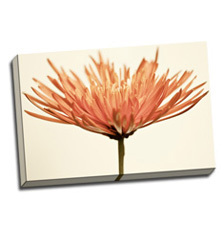 It turned out to be beautiful and the canvas makes the photo look a lot better than a standard glossy type print. I'm currently going through some of my photos to get ready for our next order and will definitely use y'all again. The photo I selected was of a wall of a old temple in Vietnam, where you see dozens (if not more) of layers of peeling paint, and a candle showing through a wooden window. 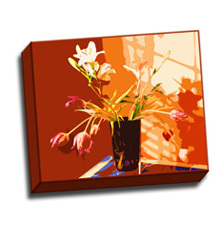 The texture of the subject lends itself well to a canvas and gives it a painting-like quality. 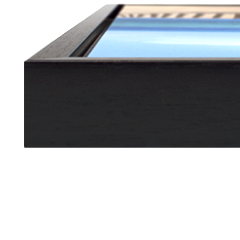 The wrapped mirrored edges were done masterfully and look very natural. Workmanship, artistry, and customer service were all top-notch! This was my first canvas, but not my last. When I opened the box and saw my new canvas, I got all giddy. It was like seeing my photo for the first time again. It was just perfect...I think I studied it for 30 straight minutes. The colors were so vibrant and the quality was even better than I could imagine. I will definitely be back for more! 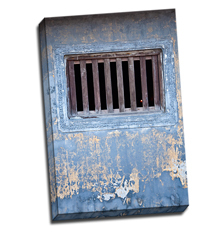 I had seen the APC canvases at Photoshop World. Then started hearing good things about them through NAPP members and staff. When there was a promotion for NAPP I decided to give it a try. I loved my first canvas. 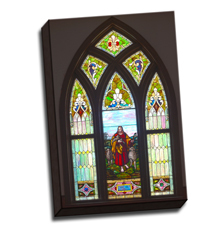 The second one was given as a wedding gift and have been told that it receives many compliments. Since then I order as often as my budget allows or when I can convince a customer to order. 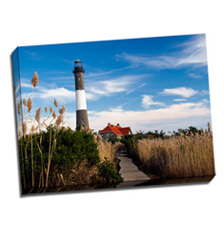 Recently I ordered a canvas of lesser quality and that has helped in showing my clients that you pay for quality. The customer service is outstanding. You speak to real people and they are more than helpful in helping make decisions to have your canvas turn out well. They are definitely one of my favorite companies to order from! My Riverbend series didn't receive the same attention when they were printed on paper. Now they are the centerpieces of my studio. When people see them for the first time, they fight the urge to touch the images! What an unexpected benefit! It's really exciting when a viewer wants to reach into your image. I was pretty nervous going into this. I'm used to making my own prints and I've only had experience with one other online printing vendor. My experience with that vendor was pretty bad. Out of more than 70 prints, I had less than 10 that I could use. I talked to Dimitri and he really put my mind at ease. It was a great transaction and I couldn't be happier with the results. Several guests have seen the print and they've all loved it too. Thanks again for doing such a great job! I continue to be impressed with both the quality of work as well as the customer service that APC provides. Working with Melanie, makes it all effortless; she is an incredible help with creative questions and if there is a 'rush' involved, she considers it 'no problem'. When presenting my work at a restaurant or gallery show, I constantly hear 'who does your printing' ? I am proud to pass on the word about the wonderful folks at APC, considering you to be 'co- creators'. You make me look good !!! APC's customer service is top-notch. 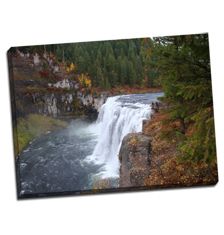 I was able to communicate with their sales team before deciding to purchase my custom canvas print. 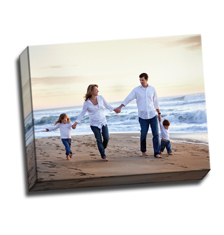 APC's quality is top notch and the best of any canvas printer I have used. My canvas hangs above my computer and I marvel at it every day. My friends have all been very impressed with how it turned out. 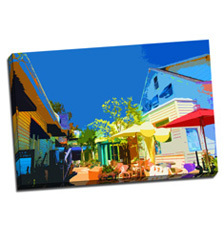 I especially like the gallery wrapped edges and vivid colors. Thanks! I was stunned by the quality of the canvas when I received it, and now that it is hung, the compliments are just rolling in... It is the focal point of my client's dining room (40 x 60!) and she is thrilled. I also appreciated the excellent feedback that I got so quickly from your team... we were able to turn this project around very fast and painlessly. Your company is extremely professional and I will give all of my business to you in the future. We were very happy with our 'prior' vendor's quality, but their prices prohibited us from being competitive in today's market,...ergo, we went price shopping. Some printers offered better prices, but it was the sincere help and advocacy of your customer representative, Melanie, who convinced us to give APC a try. 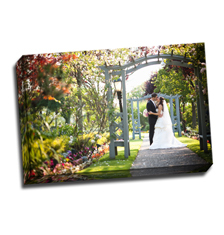 We are proud to tell customers that our images are quality prepared by APC. They look surprised when we tell them that you are nearly 3,000 miles away,...worth the trip! Thank you APC,...we are very satisfied customers. 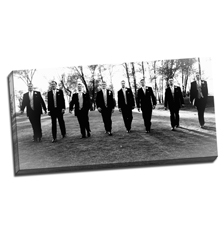 After seeing what a great job APC did on a previous photo canvas of our son, we decided to order one of our favorite wedding day picture. 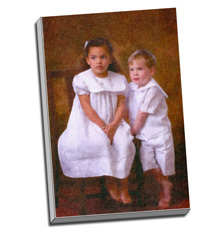 When we received it, we were really impressed and happy with the way the 8x10 canvas turned out. The image's color/saturation corrections performed by APC's photo experts were excellent! 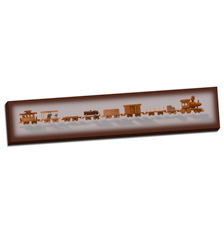 We had ordered previous pictures of the same image from other online photo websites but they never turned out this good! 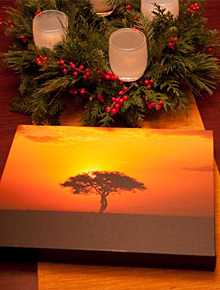 We would definitely order photo canvases from APC in the future. 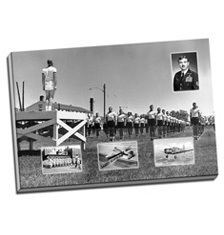 The photo I selected to try your service is a digitized photo of my father when he was in the Civilian Conservation Corps in 1934. I restored the image in Photoshop and printed it with you. I couldn't be happier with the results, particularly because I was concerned that enlarging the original image to about 6x it's size would result in a loss of quality. I was impressed with the richness of the blacks and the detail preserved in the highlights. Thanks for a great job. Having been a photographer for over fifty years I am quite critical of finished print results. Wet printing reached its limitation years ago. 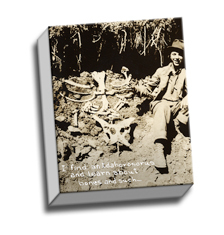 I have been printing my own work digitally for many years. I have had 'professional printers' make big prints for me many times. Never have I ever accepted the quality of the first print. I was braced for disappointment when your shipment arrived. I was truly blown away. Everything was spot-on perfect. Folks complain about not getting prints that look like what they saw on their monitor. This canvas exceeded my hopes by a long way. With so many sites to choose from, APC offered the the most comprehensive service AND the most reasonably priced option. I needed some retouching done, which was executed flawlessly. The finished product was fantastic! Already recommending APC to my friends. Thank you! 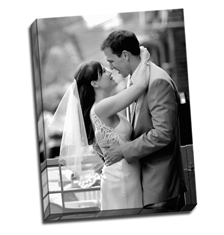 I was blown away when I first saw our canvas! I honestly thought that the picture would lose some detail or have a strange texture to it and I was so wrong! The canvas had every detail and quality that the original picture had. I have already bragged about you to other photographers because of the quality and the customer service. My rep was Melanie and she personally worked on our canvas and gave excellent support and promptly answered all my concerns and questions! I will use you guys again and I will tell everyone about how wonderful your service was. Thanks again. Our 60x24 canvas hangs in the lobby of our new office. 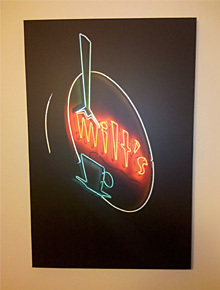 It is a terrific custom piece of art that really brings our corporate re-branding components all together. Many thanks for the patience of the customer service rep who made it happen. Instead of ordering a wedding album that would probably end up buried in a box somewhere, my husband and I opted for a gallery style canvas of our favorite wedding photo. The photographer we hired was ready to charge us three times as much, so we decided to look online. And APC did not disappoint! 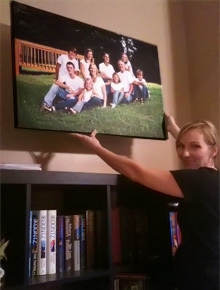 My husband was wowed by the value and quality when we unwrapped our canvas. Right now it's hanging in our living room, and we can enjoy it on a daily basis! I am very impressed with your company and product. I will highly recommend to others and will definitely use your company again. The artists in customer service are so extremely helpful and knowledgeable. They not only want you to be satisfied with the finished product, they want you to be ecstatic, which I am. Thank you! Your customer service was the best. Trying to find a quality company on the internet is scary! Someone responded to me quickly when I had a question or wanted to add a request to my order. This was really appreciated and made me feel I choose a legitimate company. Your company had more choices for sizes then others. The canvas is beautiful! It's a vacation picture which hangs in our bedroom. 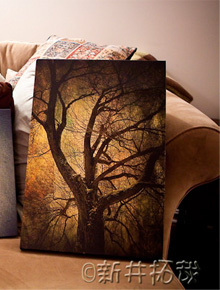 Turning the photograph into a canvas gives it a unique touch. Friends are surprised it was a regular photo first. We will use your company again! Thank you. I am thrilled with my gallery print from APC! The quality is superb! I was also very happy with how quick the turnaround time was. I will definitely order from APC again! Thanks so much for such great service! My client gave this photo to a family member as a gift. He was very impressed. 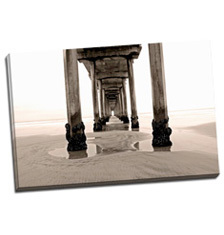 Now my client says that she would like to fill a large empty wall with my photos on canvas. Good for me and good for you. Your staff is so sharp and courteous I am telling all my photographer friends about APC. The quality of the canvas is beyond even my expectations. The colors look exactly like what I see on my screen and the visual impact of the canvas is everything I had hoped it would be and then some. My wife and I have been reserving an entire wall for this one art piece and what a great decision it was to have APC handle the production side of it. In fact, we even painted the wall a new color specifically to compliment the canvas itself! I had a wonderful experience with APC. The production manager took special care in making sure I had ordered the proper size canvas for the picture and the final product was beautiful. It was a wonderful gift for my mother who is moving overseas. Thank you! My sister and I spent a week on Sanibel Island, and it was the best week of our lives! This was the first vacation we spent together, just the two of us, and it was a treasured time. 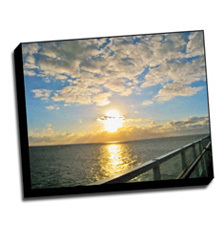 I ordered two canvases of my favorite seascape photo to commemorate our time together as a very special gift for my sister and myself. The result was spectacular!!! She and I both get so many compliments and we can't stop staring at our canvas! You did a beautiful job and I couldn't be more pleased. I highly recommend your services to everyone who sees my canvas and for those who haven't yet! Thank you for making this special gift even more special with your high quality and professionalism. Also, in this day and age when most companies customer service is farmed out to people who don't care about what they are providing service for - your customer service was exemplary and everyone was so nice and knowledgeable, helping me pick the best possible way to have my treasured canvas created. Thank you for a great experience and I will order from you again, without doubt! 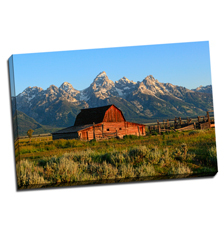 The photo I used was shot at Grand Tetons National Park at sunrise. It took three mornings to get this shot because the weather would not cooperate. My canvas turned out better than imagined and everyone who visits my home loves it! It is hanging on the living room wall so it can be seen when you enter my home. I will be sending you more business in the future. I am a tough customer and am usually very hard to please. I was concerned without seeing a proof that the resolution would be disappointing or that the wrap around would push the image off the front or that it would not be cropped properly. I must say that your company exceeded my expectations. I was blown away by the sharpness, quality, color, framing and effect. the packaging was amazing as well; wrapped and protected exceedingly well. When I opened it up and saw the image i was speechless. You did an OUTSTANDING job and I will use you often in the future. I give this project 5 out of 5 stars. Thank you. 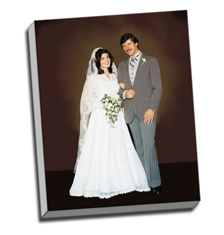 I had a great experience working with APC to have a wedding photo enlarged on canvas. They even called me to let me know I had selected a size that would not work with my photo and took care of it immediately! 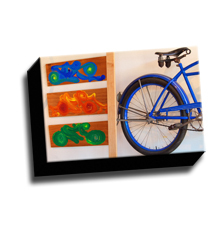 We have gotten numerous compliments on our canvas since the day it was hung! 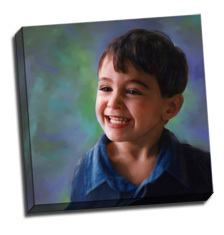 My first project was a gallery wrapped canvas print of my son. This was my second printing of this piece. The first was printed using another online printing service that I had been using. I hadn't been happy with the first print and I wanted to try APC and compare the two. The parameters were the same for both. 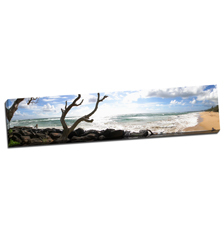 Gallery wrap, same size, same color space, same image. The gallery wrap on the first print was unacceptable as there were folds of white canvas showing along the edges. 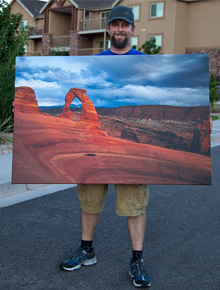 I was told by their customer service that this is a widely used and very standard method for gallery wrap. Not cool. I read about APC online from a Scott Kelby recommendation. I asked your customer service about the type of gallery wrap you use and was assured that they are correctly and professionally done. My package arrived yesterday and I couldn't wait to see the gallery wrapped corners. I was NOT prepared for the fabulous print quality. Which blew that first print away, in fact the first print looked like @#$% next to this one. The color and contrast and detail of the APC print were really perfect. It is as if the APC print system were connected to my monitor. And the gallery wrap was clean and beautiful. Needless to say, I am so excited to have found a reliable high quality print source. And your prices are fair and competitive. 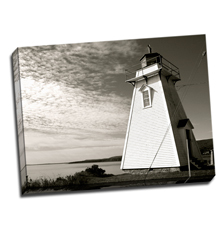 My clients often want a canvas print and now I can offer them this service with confidence. I can't stop staring at my new print and again, I am so delighted to have found y'all! By the way, if you like I would be happy to provide you with a concise less rambly version of this for you for your website. 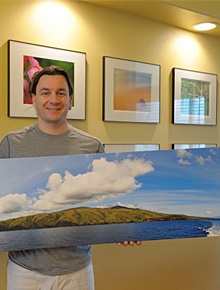 I have been wanting to print a panoramic photo for awhile. When the image I had printed was finished in the camera, I knew this was the image I wanted APC to print for me. Since this was my first experience with APC, I wasn't sure what to expect, but Dimitri answered all my questions and we worked together to get me the finished product I saw in my head. I was so pleased with the first go round. 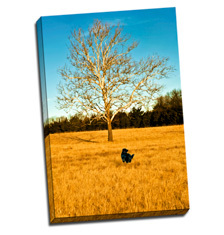 I turned around and sent in another image to print which will be entered in our local art show. I am already referring friends to you. The canvas you sent me was even better than I dreamed. It is fantastic. I only wish I had ordered a bigger version. You rock. When I pulled the canvas from the shipping box for the first time I was extremely happy with the results. The detail was excellent and the colors spot on. It is exactly the way I remember it when I took the picture. When I showed it to friends they were very impressed, some were really surprised it was a canvas print. They asked where I had it done and how much it cost. When I told them the price most were shock how reasonable it was - I think some are considering having some pictures done. Overall it was a very good experience working with APC. I am very pleased with the entire process. 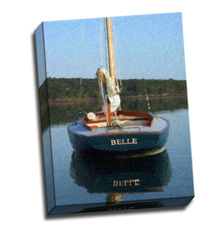 Your customer service is excellent & the finished canvas is beautiful. 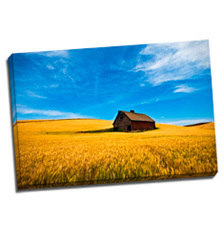 I recently shot this image on a trip to the Palouse area of Washington. I will be hanging the image in the living room/dining room area of my house. Many thanks & I will be using again in the near future. The canvas turned out better than I could have ever expected. I was in contact with Lew about what I wanted done and he couldn't have been more helpful. I'm thrilled with how it looks. It is a birthday gift for my sister and I know she is going to love it. 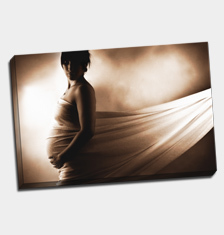 I will definitely be using you guys in the future and recommending Artistic Photo Canvas to everyone I know. You do great work. Thank You so much!!! This was my first time using APC, however it absolutely will not be my last! 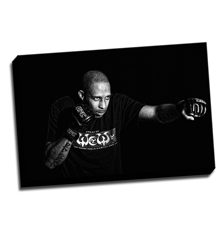 From the custom sizes, to professional retouching and photo prep (which is free), and protective UV coatings, everything offered from APC sets it miles apart from other canvas printing services. Notification of canvas progress, and shipping notices allowed me to stay alongside the progress, and the turn around time to Canada was a swift 7 business days... equal to — if not faster than — most of the domestic services. A tremendous thank you for the excellent work! Having a request for a special size (18'x60')and needed to meet a deadline, we where pleased with the quick response to our questions and delivery requirements. It was the highlight of the show. The customer service was quick responding and very helpful. The printing process was a great representation of the actual photo. Thanks! The finished product was everything I had hoped it to be. Colors were vibrant. Mounting of the canvas to the frame was done as it should be and the mirror edge effect was perfectly done not to mention communications via phone and email were very easy. I have no hesitation at all in recommending your work. Thank you. 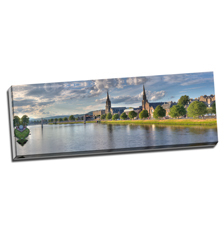 I recently took at trip to Scotland and fell in love with the city of Inverness. I wanted to capture the city and river running through it exactly how I was viewing it. I decided to make an HDR Panorama and took 7 panels across with 3 exposures in each panel. It turned out beautifully. 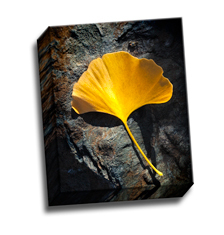 I wanted a way to display this wonderful photograph and turned to the canvas experts at APC. 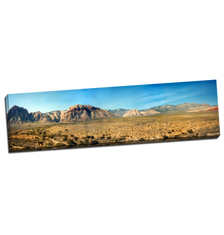 Since I had seen a wonderful example of a panoramic gallery wrap, I immediately purchased a 36' x 12'. When I received the wrap, it was everything I had hoped it would be. 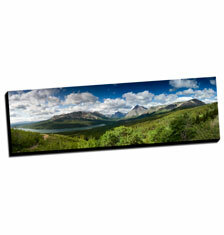 Everyone that has seen it has been absolutely amazed at the picture and the clarity of the canvas print. I will definitely be using APC again! 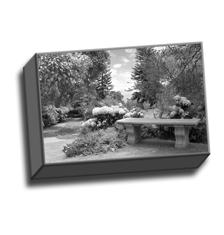 APC is the only Canvas provider I have found that has so many methods of accommodating the specific cropping of an image. I left the decision on final cropping up to APC, and they did an excellent artistic job with the final image. I was impressed by the fact that I received a call from a staff member making sure that the cropping for the particular size I ordered was something I was aware of..I ended up changing sizes by 2 inches on one side which minimized cropping. The person I talked to was great and very helpful. I never felt like money was an issue - just customer satisfaction. I was a little worried about using text and would it be readable when output to canvas? When I opened the package I was extremely pleased. I have been a designer for over 20 years and this was probably the best output I have ever had done. Everything looked exactly as I had designed it - believe it or not this is rare. Thanks. We love the quality of your work. I was also very impressed by your customer service. I had included a note about the quality of image that was sent to print and I received an e-mail back right away. I was skeptical about ordering a 20x30 print online, but your company made me feel at ease and we loved the way our canvas turned out. We our proud to put it up in our model home. Sincerely, Leah Gorder Zetterberg Quality Homes, Inc. 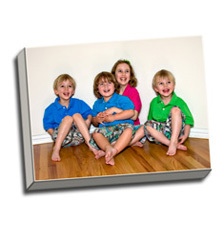 I had ordered the same canvases through a different company at first and when I got them they looked very digital. That is why I started looking around. When I found APC's website I was very excited to try them. It was very assuring that they had a guarantee. They started work on my project the very next day and they called me with every little question they had...which I loved. When I received my canvases I nearly cried. They looked wonderful. I have had many complements on my canvases. I can't wait to get them hung up!!! 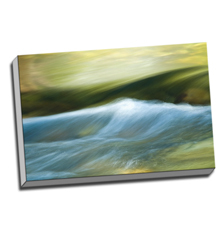 I debated for months over where to order my canvas from and what technique I wanted to use. I finally decided to go with APC based on the reviews I read and the guarantee offered. I couldn't be happier with the results! My canvas is BEAUTIFUL! 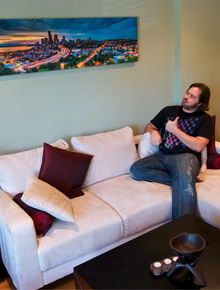 It is so nice to have a piece of art on the wall that is personal to me...not just some random painting! Everyone who has seen my canvas has commented on how beautiful it is! It now hangs over my sofa in the living room and I am already deciding which photo and technique to do next! Thanks APC, for helping me to turn one of my vacation memories into a wonderful wall hanging I can enjoy every day!!! My wife and I were excited to open and experience the quality of the canvases you guys prepared. 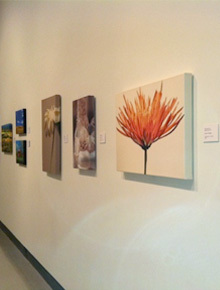 They are now both hanging as the feature presentation at the gallery that sells my work. The gallery is just now opening for the season, and I can't wait for the reaction from the public. 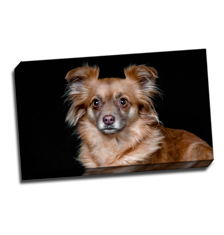 I was trying to decide whether and how to send a photo for a gallery wrap. So I called and got a customer service rep who really knew his stuff. Lew reviewed my uploaded picture and answered my questions. He then provided me a proof copy of the photo almost immediately. Excellent customer service! But the best surprise was the quality of the canvas result a week later. Truly excellent! Now hanging above our mantle and really impressive. I will no doubt order other photos in the future now that I have seen the results. Thanks, Lew and APC! I'm a fighter pilot in the US Air Force. 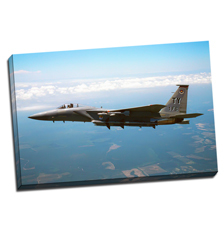 I always wanted a large picture of me flying my jet as a gift for my young son. I saw an example of your work and knew right away this was exactly the size and quality I was looking for. When I got it I was extremely happy with the workmanship and professional appearance. Thank you for a job well done! I was so wow-ed by the customer service i received when requesting a special size that i knew the final product would be fantastic — and I was stunned when i received the final canvas — it is truly beautiful!! Great job! Our canvas is beautiful! 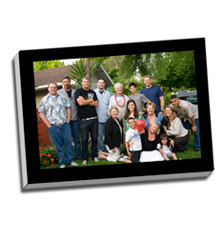 Even when the photo was enlarged to 36x48 it didn't look grainy or pixelated. It was so nice that a representative called to confirm that the altered colors were intentional before printing. The combination of good technology and personalized customer service was exceptional. It made our vacation photo look like a professional piece of art. Our in-laws thought we must a have purchased it at an art gallery. Thank you!!! Dear APC, I would like to thank you for providing a quality enlargement for my photo 'Raspberry Bay'. 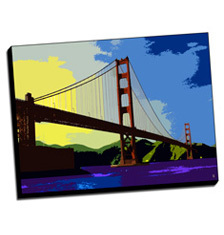 I had tried three local photo / graphic art shops seeking an enlargement that would do my photo justice. They all failed. But, you did it! 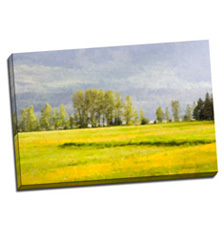 My APC canvas is as sharp and colorful as my original shot. I could not be happier. Lew's help guiding me through all my options made the whole experience so easy. 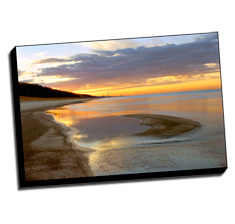 'Raspberry Bay' was shot on a sailing trip on Lake Superior, Bayfield County, WI in the fall of 2002. It was the last evening of our trip and we had thunderstorms coming in overnight. So we wanted to anchor in an eastern shore bay to reduce the impact of the storm. Several other boats had the same idea and we all took our place around the crescent shaped bay. As we relaxed on deck reminiscing about our trip, I realized the sun was going to get behind the storm clouds and give us an excellent sunset. As the sun broke below the clouds, I took shots until it set. 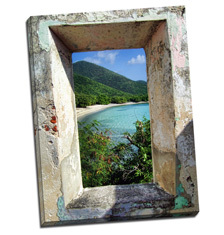 'Raspberry Bay' was the second to last of the series. It now hangs proudly in my office and several people who have seen it ask me, in disbelief, 'You shot that?' and I get to say Yes, I did! Thank you. My jaw dropped when I took the canvas out of the box. 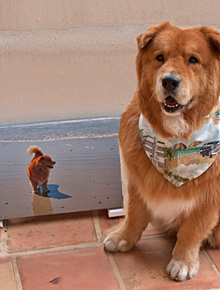 The quality and excellence of the work I received on my canvas was outstanding and inspiring. 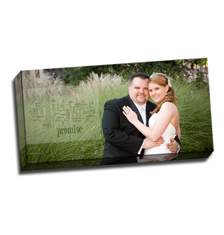 I love the canvas we ordered of our wedding ceremony. It was converted from a color shot to black & white, as well as cropped and blown up as ordered. The canvas is high-quality. 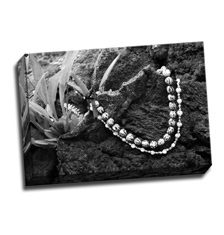 Can't go wrong with Artistic Photo Canvas and especially at these prices - everyone comments on it! Here i am showing the wedding couple their proofs and the groom tells me, can u make it a canvas print?. i said sure, let me get with my printer ( i had no canvas printer) and give u some sizes and costs. 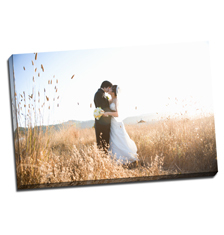 couple choose a 20x30 canvas print. 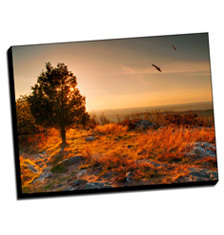 in a frantic i searched the web and found Artistic Photo Canvas. Mr. Dimitri Jansen answered my call and explained their company and commitments in providing the best product for their product. He helped me obtain my print i no time at all. Five days after i placed my order it was on my doorstep. Quality is very very good. 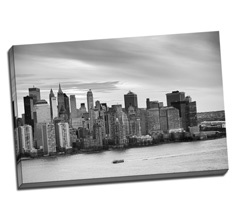 Will be sending for more canvas prints, as my potential clients love the look of your product. Thanx. 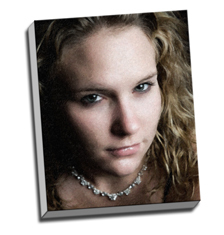 I contacted Artistic Photo Canvas because the canvases were well priced as compared to other vendors, so I wasn't optimistic that they would be very flexible to my specific needs and changes requested to the original picture. I wanted to capture the most important picture of my fiance and I but needed some items removed and modified to capture the true essence of the picture. The customer support representative that I spoke with listened to my needs, asked me questions, and provided a suggestion as to how to best enhance the picture and capture the moment. I was contacted throughout the process and given every opportunity to make sure the final product was what I desired. The canvas arrived very quickly and the quality is excellent. It was, and will probably be, the best gift I'll give my future wife. 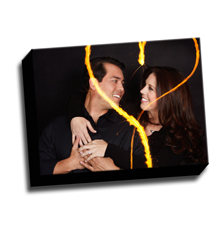 A very sincere thank you to the entire Artistic Photo Canvas Team. I had the project of creating a military classroom that would stand out among all the rest. 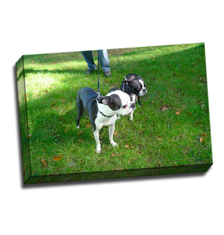 I called the customer service of Artistic Photo Canvas and told him what I wanted and then sent examples of my ideas. He received them and called me back and took the time to add a little bit of what would make my idea stand out even more. Once I received the final product I could not have been more pleased! 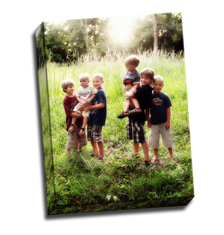 The canvas photos were a hit! The classroom has the facelift of a lifetime and will be seen by many classes to come! Artistic Photo you have made the classroom and me the talk of the base!! We took a trip to Africa and came upon the Leopard, which we were told doesn't happen too often. We were truly amazed at the clarity and the beauty of the animal. It was just like being there when the picture was taken. 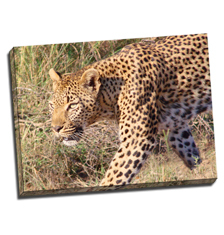 We have the two pictures of the leopard hanging in our family room for everyone to see. All those who have seen them are in awe and want to know where this was done. So we tell them. We truly are enjoying the finished product and we will bring you more when we get our act together. Which I hope will be soon. They are truly beautiful and we are so glad that we found your company. I stumble across your website on the internet and it looked promising, but i didn't expect the amazing results. People keep asking 'where did you have those done, they are amazing! 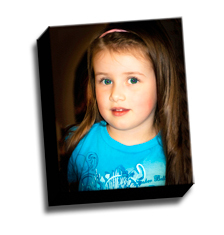 The canvas prints are just fantastic, service wonderful and gallery wrapping awesome! A great company and a pleasure to do business with. My projects have been reproduction of fine art — oil on canvas, which is quite complex and demanding. Lew and company did an excellent job, the guarantee of satisfaction providing a no-risk proposition. APC maximized the quality in my files and films. 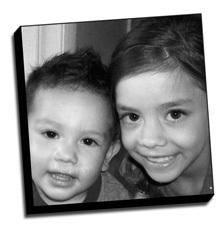 The best way so explain the extent of my satisfaction is to quote my client's comment, '...they're perfect!! !’ Thanks for your service and excellent product. We live near Yosemite National Park. 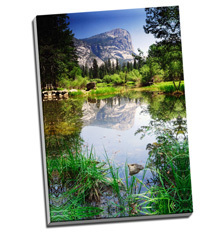 I wanted to display some pictures of Yosemite in my home, because it is usually the destination of my many visitors. I looked at paintings which were thousands of dollars. 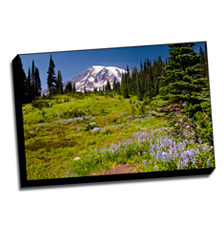 Then I got the idea I could enlarge and display original photos that I took last spring. I went online, and called APC. The person I talked to was friendly, and very helpful. He answered all my questions. Then he made suggestions and gave me options, after they examined the three choices I uploaded. It was very easy to upload and order. I chose to have the brushstroke option which made my photo look more like a painting. My 40' canvas arrived two weeks later in secure packaging with everything needed to hang it. I think I actually like it better than the paintings that were thousands of dollars. 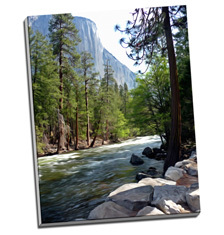 When I look at the beautiful canvas above my bed, of Sentinel Rock and the Merced River, I not only remember the warm spring day I took the photo, but that when I was a kid, we floated down that river on air mattresses. I am very satisfied with my purchase and will tell my friends and family they too can have a canvas remembrance of their memories, and about my great experience with APC. 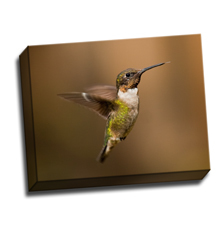 I was extremely pleased with the brilliant colors when I first opened my canvas. My digital painting had intense colors, but prints don't always have the same intensity of color that you see on a computer monitor. This gallery wrapped print was perfect in every way. Thank you! 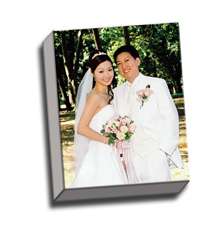 I used Artistic Photo Canvas for two wedding photos, and each were done exactly to my specifications...superior work! 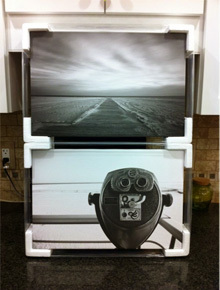 The client was extremely pleased with the three prints. It is hard to convey the excitement when you first see your work (or your purchase) full size, beautifully printed and wrapped. The client's face says it all. 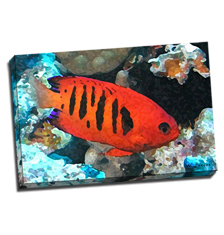 The client had selected three underwater pictures and wanted them 'doctored'. I ran the pictures through several software filters to achieve a dry brush look. The final product was true in every detail to the computer file. 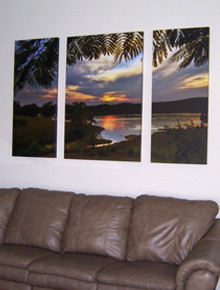 The canvases looked so good that the client has decided to display them in a better location in his home for all to see. The photo that I had printed was of an art gallery exhibit in Brantford Ontario, named the Glenhyrst Gallery. I initially took the photo to promote arts & culture in the area. I ended up liking the photo so much that I had it printed for my living room. 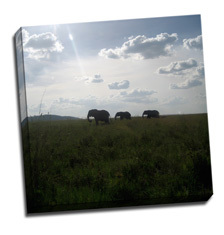 I receive many compliments on it and love the fact that Artistic Photo Canvas stayed true to the colours, contrast and size that I had specified. I've already recommended APC to others and will definitely have more media printed with them. 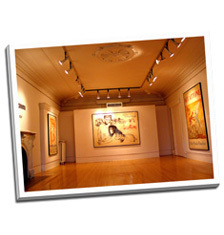 It seems like they are very passionate about what they do, and that really counts, at least in the 'world of fine art.' Bravo! I couldn't be happier with the canvas photo and work you did to produce it for my father in-law's 80th birthday. I especially appreciated Lew's help with the mirroring issue on the bottom wrap and the personal attention he provided to ensure we would get our very rushed and last second order to the recipient in time for his birthday party celebration. In fact the order was placed late on Monday evening and arrived the same week on Friday, ie. under 5 days total including delivery!!!! I know this is an exception but it exemplifies the excellent service and level of personal attention this company gives. 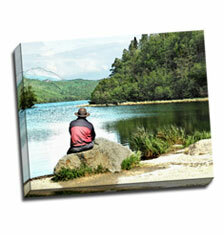 I will be placing more orders soon and am recommending your services for others who want canvas printing. Mahalo for your help and fine efforts!! Thanks again for your excellent customer support and the fine quality artwork production! !